A 13-count indictment was unsealed earlier today in federal court in Brooklyn, New York, charging four defendants,including Huawei Technologies Co. Ltd. (Huawei), the world’s largest telecommunications equipment manufacturer, with headquarters in the People’s Republic of China (PRC) and operations around the world. The indicted defendants include Huawei and two Huawei affiliates — Huawei Device USA Inc.(Huawei USA) and Skycom Tech Co. Ltd. (Skycom) — as well as Huawei’s Chief Financial Officer (CFO) Wanzhou Meng (Meng). The defendants Huawei and Skycom arecharged with bank fraud and conspiracy to commit bank fraud, wire fraud and conspiracy to commit wire fraud, violations of the International Emergency Economic Powers Act (IEEPA) and conspiracy to violate IEEPA, and conspiracy tocommit money laundering. Huawei and Huawei USA are charged with conspiracy to obstruct justice related to the grandjury investigation in the Eastern District of New York. Meng is charged with bank fraud, wire fraud,and conspiracies to commit bank and wire fraud. Acting U.S. Attorney General Matthew G.Whitaker, Secretary Kirstjen Nielsen of the U.S. Department of Homeland Security, Secretary Wilbur Ross of the U.S. Department of Commerce, U.S. Attorney Richard P. Donoghue for the Eastern District of New York, FBI Director Christopher A. Wray, Assistant Attorney General Brian A. Benczkowski of the Justice Department's CriminalDivision and Assistant Attorney General John C. Demers of the National Security Division, announced the charges. “As charged in the indictment, Huawei and its subsidiaries, with the direct and personal involvement of their executives,engaged in serious fraudulent conduct, including conspiracy, bank fraud, wirefraud, sanctions violations, money laundering and the orchestrated obstruction of justice,” stated U.S. Attorney Donoghue. “For over a decade, Huawei employed a strategy of lies and deceit to conduct and grow its business. This Office will continue to hold accountable companies and their executives, whether here or abroad, that commit fraud against U.S. financial institutions and their international counterparts and violate U.S. laws designed to maintainour national security.” Mr. Donoghue thanked the FBI, U.S. Immigration and Customs Enforcement’s Homeland Security Investigations (HSI), U.S. Department of Commerce Office of Export Enforcement(OEE) and the Defense Criminal Investigative Service (DCIS) agents who are investigating this case for their tireless work and dedication. 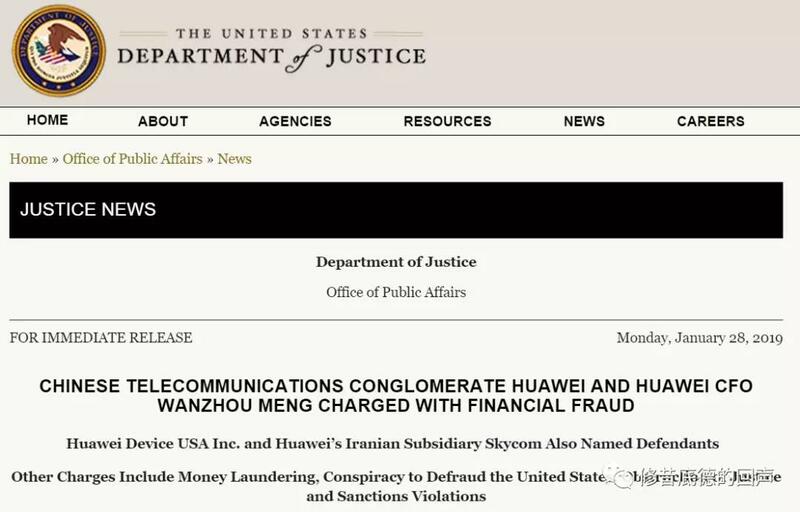 The charges in this case relate to along-running scheme by Huawei, its CFO, and other employees to deceive numerous global financial institutions and the U.S. government regarding Huawei’s business activities in Iran. As allegedin the indictment, beginning in 2007, Huawei employees lied about Huawei’s relationship to a company in Iran called Skycom, falsely asserting it was notan affiliate of Huawei. The company further claimed that Huawei had only limited operations in Iran and that Huaweidid not violate U.S. or other laws or regulations related to Iran. Most significantly, after news publications in late 2012 and 2013 disclosed that Huawei operated Skycom as an unofficial affiliate in Iran and that Meng had served on the board of directors of Skycom,Huawei employees, and in particular Meng, continued to lie to Huawei’s banking partners about Huawei’s relationship with Skycom. They falsely claimed that Huawei had sold its interest in Skycom to an unrelated third party in 2007 and that Skycom wasmerely Huawei’s local business partner in Iran. In reality, Skycom was Huawei’s longstanding Iranian affiliate, and Huawei orchestrated the 2007 sale to appear as an arm’s length transaction between two unrelated parties, when in fact Huawei actually controlled the company that purchased Skycom. As part of this scheme to defraud, Meng allegedly personally made a presentation in August 2013 to an executive of oneof Huawei’s major banking partners in which she repeatedly lied about there lationship between Huawei and Skycom. According to the indictment, Huawei reliedon its global banking relationships for banking services that included processingU.S. dollar transactions through the United States. U.S. laws and regulations generally prohibited these banks from processing transactions related to Iran through theUnited States. The banks could havefaced civil or criminal penalties for processing transactions that violated U.S. laws or regulations. Relying on therepeated misrepresentations by Huawei, these banks continued their banking relationships with Huawei. One bankcleared more than $100 million worth of Skycom-related transactions through the United States between 2010 and 2014. In furtherance of this scheme to defraud,and as alleged in the indictment, Huawei and its principals repeatedly lied toU.S. government authorities about Huawei’s business in Iran in submissions tothe U.S. government, and in responses to government inquiries. For example, Huawei provided false information to the U.S. Congress regarding whether Huawei’s business in Iranviolated any U.S. law. Similarly, asindicated in the indictment, in 2007 — months before Huawei orchestrated thepurported sale of Skycom to another Huawei-controlled entity — Huawei’s founder falsely stated to FBI agents that Huawei did not have any direct dealings with Iranian companies and that Huawei operated in compliance with all U.S. export laws. After one of Huawei’s major global banking partners (identified as Financial Institution 1 in the indictment) decided toexit the Huawei relationship in 2017 because of Huawei’s risk profile, Huawei allegedly made additional misrepresentations to several of its remaining banking partners in an effort to maintain and expand those relationships. 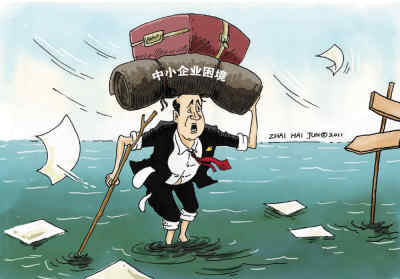 Huawei and its principals are alleged to have repeatedly and falsely claimed that Huawei had decided to terminate its banking relationship with Financial Institution 1, when in fact it was Financial Institution 1 that had decided to terminate the banking relationship. Through these misrepresentations, Huawei wasable to continue its banking relationships with its other banks. In 2017, when Huawei became aware of the government’s investigation, Huawei and its subsidiary Huawei USA allegedly tried to obstruct the investigation by making efforts to move witnesses with knowledge about Huawei’s Iran-based business to the PRC, and beyond the jurisdiction of the U.S. government, and by concealing and destroying evidenceof Huawei’s Iran-based business that was located in the United States. In December 2018, Canadian authorities apprehended Meng in Vancouver pursuant to a provisional arrest warrant issued under Canadian law. The U.S. governmentis seeking Meng’s extradition to the United States. The charges in the indictment are merely allegations, and the defendants are presumed innocent until proven guiltybeyond a reasonable doubt in a court of law. The indictment unsealed today is assignedto U.S. District Judge Ann M. Donnelly of the Eastern District of New York. The investigation is being jointly conducted by the FBI’s New York Field Office, HSI’s New York Field Office,OEE’s New York Field Office, and DCIS’s Southwest and Northeast FieldOffices. Agents from the FBI, HSI, andOEE offices in Dallas provided significant support and assistance. The government’s case is being handled by the National Security and Cybercrime and Business and Securities Fraud Sections ofthe U.S. Attorney’s Office for the Eastern District of New York, the JusticeDepartment’s Criminal Division’s Money Laundering and Asset Recovery Section(MLARS), and the Justice Department’s National Security Division’s Counter intelligence and Export Control Section (CES). Assistant U.S. Attorneys Alexander A.Solomon, Julia Nestor, David K. Kessler, Kaitlin Farrell, and Sarah Evans,MLARS Trial Attorneys Laura Billings and Christian Nauvel, and CES TrialAttorneys Thea D. R. Kendler and David Lim are in charge of the prosecution,with assistance provided by Assistant U.S. Attorney Mark Penley of the NorthernDistrict of Texas, Assistant U.S. Attorneys Brian Morris and Brendan King ofthe Eastern District of New York’s Civil Division and Trial Attorneys AndrewFinkelman and Margaret O’Malley of DOJ’s Office of International Affairs. Additional Criminal Division and NationalSecurity Division Trial Attorneys and Assistant U.S. Attorneys within U.S.Attorney’s Offices for the Northern District of Texas, the Eastern District ofTexas, and the Northern District of California have provided valuableassistance with various aspects of this investigation. The indictment charges other individualswho have not yet been apprehended and whose names will not be publicly releasedat this time.